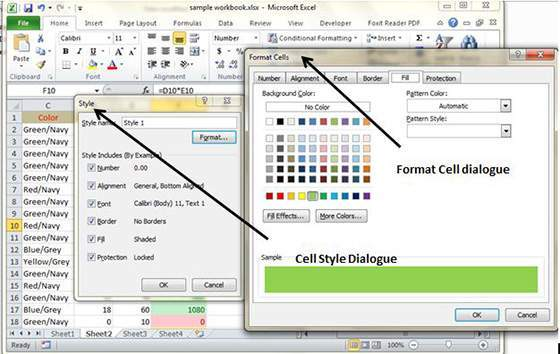 MS Excel offers Named styles that are extremely easier to apply on a set of the predefined formatting options for a cell or range. 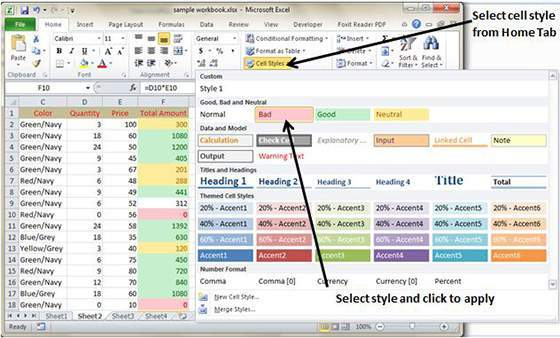 In MS Excel, a Style can consist of settings that can be applied to six different attributes. In order to apply styles, choose Home, followed by Styles, then click on Cell styles. 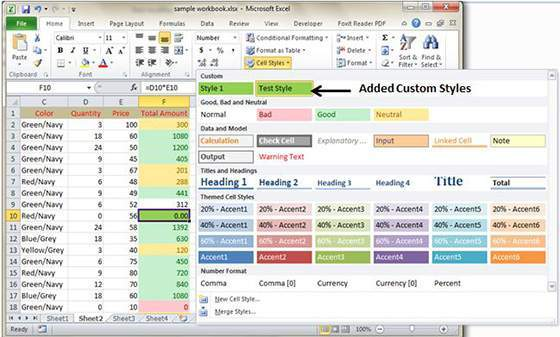 In order to create custom style in MS Excel, follow these steps. Select a cell and click on the Cell Styles from the Home Tab. Click on the New Cell Style and give a style name. 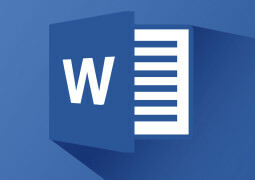 Click on Format in order to apply formatting to the cell. 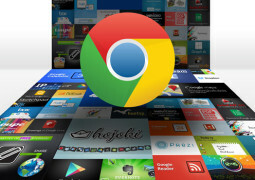 Once formatting is applied, click on OK and it will add new style to the pre-loaded styles. You can view the custom style by going to the Home, followed by Styles.